Passionate and intelligent design, a production process that involves intensive craftsmanship at every stage, true excitement for the job, and seven months of hard work have created another one of FWC’s masterpieces. It all began with a meeting with the client who was determined and specific about what he wanted and also communicated this very clearly. 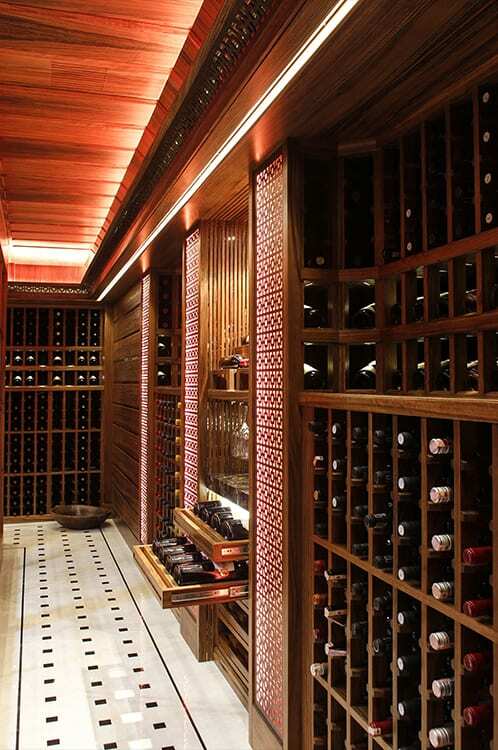 Our client’s expressed appreciation of the finished wine cellar is the true evidence that all his wishes and desires regarding the wine cellar have been fulfilled. 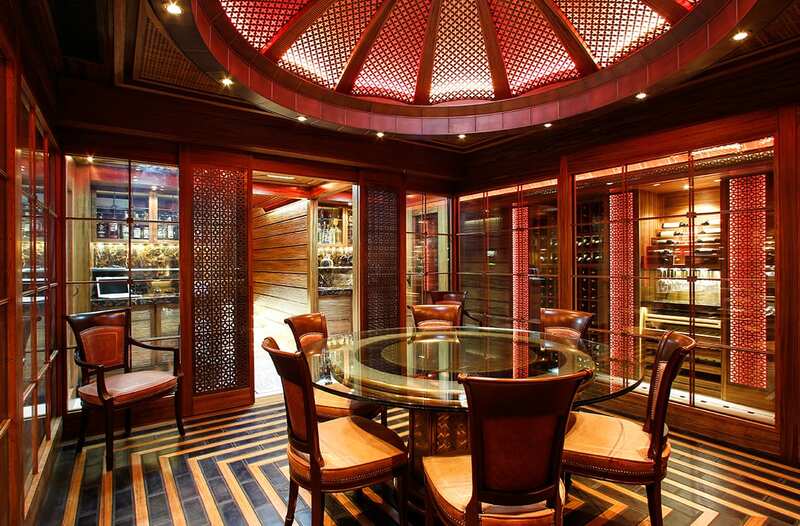 Access to this underground wine cellar is through a tunnel from the living room of the Bosphorus seaway mansion. At the very entrance of the wine cellar, the words about wine by Ernest Hemingway are written on the floor with black marble letters embedded in white marble. 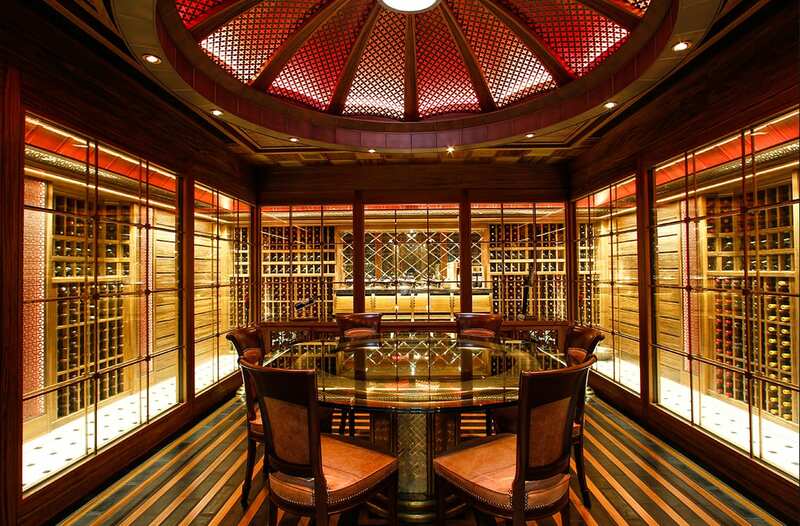 The U-shaped wine cellar where 2,000 bottles of rare and fine wine rest, is situated around the domed tasting area. All lighting, air conditioning and music systems are controlled through a tablet computer where also the wine management system is installed. 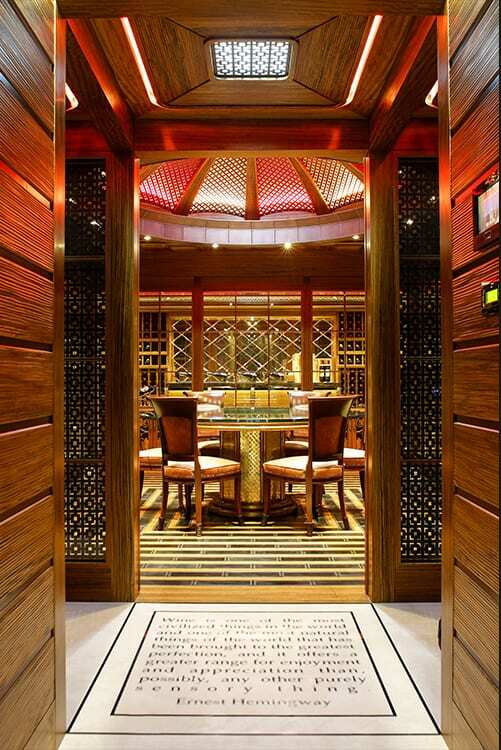 In this state-of-the-art wine cellar, FWC is able to monitor and adjust the settings of these systems remotely. 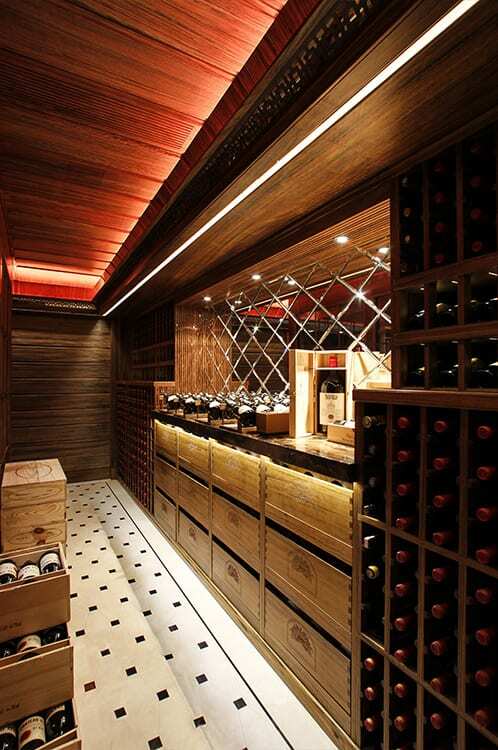 This cellar is a magnificent blend of sophisticated design, finest hand crafts, materials and high-tech installations.